Could an MLA first elected in a July 2018 by-election be at risk losing her nomination to run in the next election before the Legislature meets at the end of October? Fort McMurray-Conklin MLA Laila Goodridge is said to be facing a strong challenge from former Lac La Biche County councillor Gail Broadbent-Ludwig and former Wood Buffalo mayoral candidate Allan Grandson for the United Conservative Party nomination in the new Fort McMurray-Lac La Biche district. Voting for the UCP nomination will take place on October 25 and 26, 2018, only days before the fall session of the Legislative Assembly begins on October 29, 2018. This will mark first time Goodridge, and fellow rookie MLA Devin Dreeshen of Innisfail-Sylvan Lake, will sit in the Assembly as MLAs. The electoral boundary changes in northeast Alberta are significant. When the election is called, Fort McMurray-Conklin will be dissolved and Fort McMurray-Lac La Biche will be created, increasing the population of the district from around 26,000 to 44,166. UCP MLAs Wayne Anderson and Rick Strankman, have recently faced defeat in their bids to seek their party’s nomination to run in the next election. 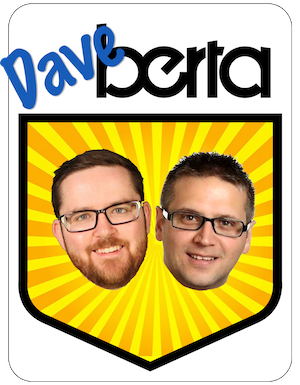 We discussed this nomination contest on the latest episode of the Daveberta Podcast. Starke could run for re-election, for who? Richard Starke is considering running for re-election, but it is not clear whether the Independent MLA for Vermilion-Lloydminster would run as an Independent candidate or join a political party before the election was called. 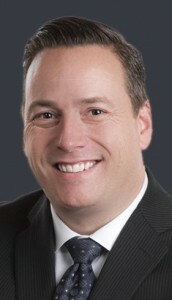 Starke was elected as a Progressive Conservative in the 2012 and 2015, and would be expected to run for re-election in the new Vermilion-Lloydminster-Wainwright district. 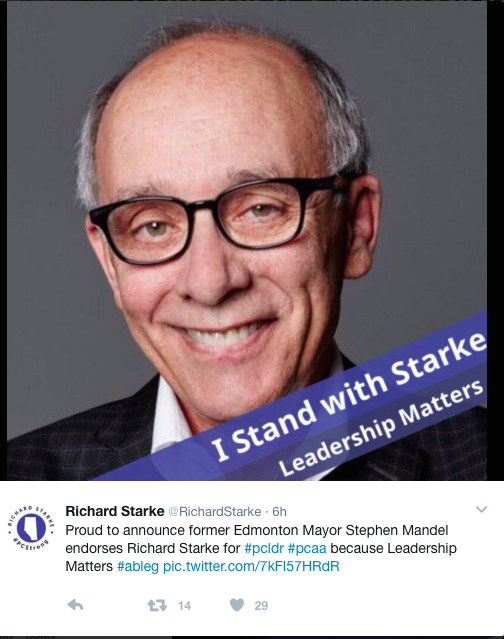 Starke is recognized by Legislative Assembly Speaker Bob Wanner as a Progressive Conservative MLA, but that recognition does not mean much outside the Legislative Grounds in Edmonton. He declined to join the UCP Caucus when the remaining PC Party MLAs joined the Wildrose Official Opposition Caucus to form the new party in July 2017. The remnant of the PC Party, which governed Alberta from 1971 to 2015, is now legally controlled by the UCP board of directors. This means, if he does decide to run for re-election, there is little to no chance Starke will be listed as a PC Party candidate on the ballot in the next election. There has been speculation since 2017 that Starke would join the Alberta Party, which has become a refuge for many of his former PC Party colleagues, including many who endorsed him in that party’s March 2017 leadership contest. Starke would face at least seven challengers for the UCP nomination in Vermilion-Lloydminster-Wainwright, including his Wildrose Party challenger from the previous two elections, the wife of a retiring UCP MLA, and another past PC Party candidate. It seems unlikely that he would cross to the NDP, but stranger things have happened. Independent MLAs are rarely re-elected in Alberta. The last time an Independent candidate was elected to Alberta’s Legislative Assembly was in 1982, when former Social Credit MLAs Raymond Speaker and Walt Buck were re-elected. They would form the Representative Party of Alberta in 1984 and were both re-elected under that party’s banner in 1986. Lynn Mandel, Alberta Party leader Stephen Mandel, and MLA Karen McPherson. One of Starke’s former colleagues, Doug Grittiths, will be delivering the keynote speech at the Alberta Party annual general meeting, being held on October 19 and 20, 2018 at the Edmonton Expo Centre. 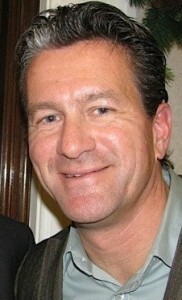 Griffiths served as PC MLA for Wainwight from 2002 to 2004 and Battle River-Wainwright from 2004 to 2015, and served in cabinet with Starke as Minister of Municipal Affairs and Minister of Service Alberta. Griffiths endorsed Starke in the March 2017 PC Party leadership contest, as did former PC cabinet minister and current Alberta Party leader Stephen Mandel. The Alberta Party has seen its legislative caucus expand from 1 to 3 MLAs over the past year with the addition of former NDP MLA Karen McPherson and former UCP MLA Rick Fraser, but the party has struggled to generate excitement among voters. Four public opinion polls released since April 2018 show support for the Alberta Party ranging from 5.1 percent to 11 percent province-wide. Mandel has had a bit of a rough few weeks ahead of this annual meeting, first scrambling to explain to his party’s membership why he agreed to meet with the right-wing Parents for Choice in Education group, disqualifying Yash Sharma as the party’s nominated candidate in Edmonton-Ellerslie, and defending a poorly delivered and tone-deaf comment about women in politics. Singer and song-writer kd lang has finally received the recognition she deserved this week as she was awarded to the Alberta Order of Excellence. 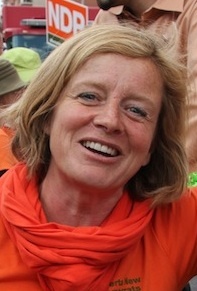 The honour granted to to lang was praised by Premier Rachel Notley, who tweeted that she is “a trailblazer, opening doors and bravely championing many causes, including LGBTQ2S+ rights.” Notley’s congratulatory comments are a far cry from the backwards attitudes and actions of some Alberta MLAs twenty-five years ago. In January 1993, Alberta PC MLAs blocked a motion to congratulate lang on her musical awards and achievements. Some rural PC MLAs were said to be annoyed at anti-beef comments she had made a few years before, but that was not the only reason. The Globe & Mail reported in January 1993 that some backbench PC MLAs said they did not support sending a message of congratulations to the singer because she had openly declared she is a lesbian. This entry was posted in Alberta Politics and tagged Alberta Election 2019, Alberta Election Candidate Nominations, Alberta NDP, Alberta Order of Excellence, Alberta Party, Allan Grandison, Battle River-Wainwright, Bob Wanner, Devin Dreeshen, Doug Griffiths, Edmonton-Centre, Edmonton-Ellerslie, Fort McMurray-Conklin, Fort McMurray-Lac La Biche, Gail Broadbent-Ludwig, Innisfail-Sylvan Lake, Karen McPherson, KD Lang, Laila Goodridge, Lois Mitchel, Lou Arab, Lynn Mandel, Parents for Choice in Education, Rachel Notley, Raymond Speaker, Representative Party of Alberta, Richard Starke, Rick Fraser, Rick Strankman, Stephen Mandel, United Conservative Party, Vermilion-Lloydminster, Vermilion-Lloydminster-Wainwright, Walt Buck, Wayne Anderson, Wildrose Party, Yash Sharma on October 20, 2018 by Dave Cournoyer. Photo: Alberta MLAs to watch in 2018: Leela Aheer, Shaye Anderson, Deron Bilous, Joe Ceci, Rick Fraser, Sandra Jansen, Brian Jean, Danielle Larivee, Jessica Littlewood, Shannon Phillips, David Shepherd and Richard Starke. Despite its past reputation, Alberta politics has become extraordinarily unpredictable over the past twelve years. This makes forecasting the future a very tricky business for political pundits. As is tradition on this blog, each year I publish a list of Alberta MLAs that I will be watching closely in the new year. Beyond the obvious choices, like Premier Rachel Notley or United Conservative Party leader Jason Kenney, I try to look into the government and opposition benches to see who could make the news next year. 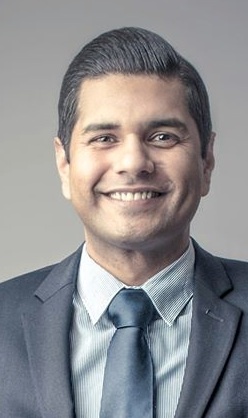 Leela Aheer (UCP – Chestermere-Rockyview): Aheer was a staunch supporter of former Wildrose leader Brian Jean during the 2017 UCP leadership race, but when the dust settled, a victorious Kenney appointed her as Deputy Leader of the UCP caucus. Her private members’ bill, Bill 206: the Child, Youth and Family Enhancement (Adoption Advertising) Amendment Act, which aimed to bring the process of adoption into the digital age by allowing prospective adoptive parents to go online through licensed adoption agencies, was passed after a remarkably civil debate in 2017. Shaye Anderson (NDP – Leduc-Beaumont): Anderson is charming and has just the kind of average working-man appeal that the NDP government needs. Appointed to cabinet in 2017, the Municipal Affairs Minister will oversee the implementation of the new City Charters and a reformed Municipal Government Act in 2018. With talk of the AUMA and AAMDC merging and increasing pressure on the NDP to reform municipal election finance laws, Anderson’s role at the cabinet table could become more important in 2018. Deron Bilous (NDP – Edmonton-Beverly Clareview): As Economic Development and Trade Minister, Bilous has led successful trade missions to China, Japan, Germany, South Korea, Ukraine, the United Arab Emirates, the United Kingdom and the United States. With the province’s economy growing but unemployment rates remaining unchanged, he faces the challenge of proving the government’s job creation plan is working as the provincial economy recovers from the sharp decline of international oil prices. Joe Ceci (NDP – Calgary-Fort): With Alberta’s economy projected to have grown between 3.9 percent and 6.7 percent in 2017, the Finance Minister will implement what Notley describes as “compassionate belt-tightening.” The NDP need to present a more defined budget plan, but it should not just focus on spending. Alberta has a revenue problem and if we should have learned anything since the international price of oil collapsed in 2014, it is that we should not depend on royalty revenues from oil and gas to fund the day to day operations of our public services. And did I mention he is a champion of Alberta’s booming craft brewing industry? Rick Fraser (Independent – Calgary-South East): The former PC MLA left the UCP caucus in September 2017, citing concerns about the party’s position on climate change and social issues. There were strong rumours that Fraser would join the Alberta Party caucus in 2017, but the resignation of Greg Clark as party leader may have put any floor-crossing plans on hold. Sandra Jansen (NDP – Calgary-North West): Appointed to cabinet in 2017, the former PC MLA plays a big role in Notley’s charm offensive in Calgary. As Minister of Infrastructure, Jansen has a powerful spot at the cabinet table, allowing her to champion the construction of big capital projects like the new Calgary Cancer Centre and the completion of the city’s ring road. She should spend less time arguing with Conservative partisans on Twitter and more time trying to boost her government’s fortunes in Calgary. 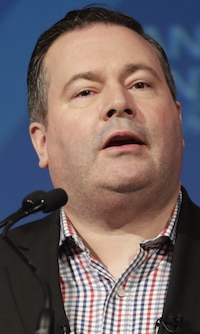 Brian Jean (UCP – Fort McMurray-Conklin): The former leader of the Wildrose Party disappeared from public sight after losing the UCP leadership to Kenney. As the only Official Opposition MLA without a critic role, there were questions raised about whether Jean will stick around until the 2019 election or whether Albertans can expect a by-election to be held in Fort McMurray-Conklin in 2018. But in a year-end interview with Fort McMurray Today, Jean says he is not planning on leaving politics in 2018. Danielle Larivee (NDP – Lesser Slave Lake): A rising star in the Alberta cabinet, Larivee was shuffled from Municipal Affairs to Children’s Services in 2017 to quell a political scandal, which she appears to have successfully done. She launched and expanded Alberta’s $25 per day child care program, which will have a real positive impact on a lot of Alberta families. 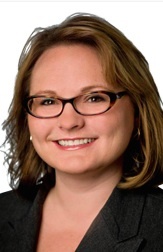 Jessica Littlewood (NDP – Fort Saskatchewan-Vegreville): Appointed as parliamentary secretary to the Minister of Economic Development and Trade with responsibilities for small business, Littlewood is another rising star in the NDP caucus. With a potential cabinet shuffle ahead in 2018, I would not be surprised if she is appointed to a full cabinet position. Shannon Phillips (NDP – Lethbridge-West): The Environment and Parks Minister continues to champion the Alberta government’s high-profile Climate Leadership Plan. The plan has led to the creation of Canada’s lowest renewable electricity rates, but a focused opposition campaign by its Conservative critics has led to mass confusion about the goal of the carbon levy. Phillips will have a big challenge ahead of her in 2018 to explain how the NDP’s plan to combat climate change will have a positive impact on individual Albertans ahead of the 2019 election. 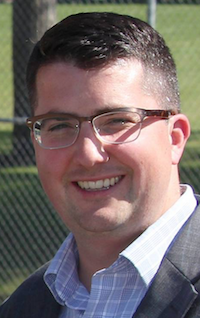 David Shepherd (NDP – Edmonton-Centre): With 1,200 votes counted, Shepherd was chosen as the Up and Comer to Watch in 2018 in the Best of Alberta Politics 2017 Survey. He is a hard-working, well-spoken and passionate MLA who has excelled at communicating online, in-person and on the floor of the Assembly. 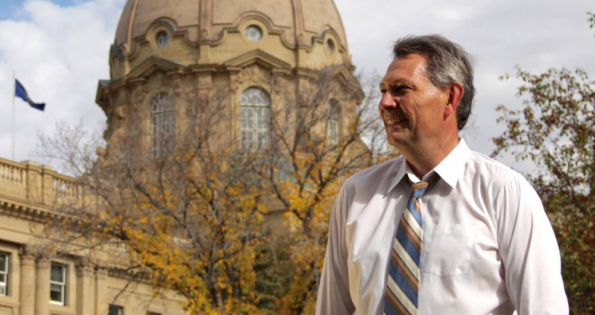 Richard Starke (Progressive Conservative – Vermilion-Lloydminster): The former Progressive Conservative cabinet minister and leadership candidate opted not to join his fellow PC MLAs when they joined the Wildrose-heavy UCP caucus in July 2017. He instead decided to remain a PC MLA in the Assembly. Like his former PC colleague Rick Fraser, there were strong rumours in 2017 that Starke could join the Alberta Party caucus. Compare this list of Alberta MLAs to watch to previous lists from 2017, 2016, 2015 and 2014. This entry was posted in Alberta Politics and tagged Alberta MLAs to watch in 2018, Alberta NDP, Alberta Party, Bill 206: the Child Youth and Family Enhancement (Adoption Advertising) Amendment Act, Brian Jean, Calgary-Fort, Calgary-North West, Calgary-South East, Chestermerwe-Rockyview, compassionate belt-tightening, Danielle Larivee, David Shepherd, Deron Bilous, Edmonton-Beverly-Clareview, Edmonton-Centre, Fort McMurray-Conklin, Fort McMurray-Conklin by-election, Fort Saskatchewan-Vegreville, Jason Kenney, Jessica Littlewood, Joe Ceci, Leduc-Beaumont, Leela Aheer, Lesser Slave Lake, Lethbridge-West, Rachel Notley, Richard Starke, Rick Fraser, Sandra Jansen, Shannon Phillips, Shaye Anderson, United Conservative Party, Vermilion-Lloydminster on January 3, 2018 by Dave Cournoyer. It has been a busy week in Alberta politics, and it is only Tuesday. On Saturday, 95 percent of Wildrose and Progressive Conservative Party members who cast ballots voted in favour of amending their respective parties constitutions and create a new political party – the United Conservative Party. Only 57 per cent of eligible Wildrose members, and 55 percent of PC member, cast a ballot, which is roughly 25,000 and 27,000 members of the two parties. It is suspected that a significant number of individuals who voted held membership in both parties, and voted twice. As predicted on this blog a few days ago, Nathan Cooper has been chosen as interim leader of the new 29-MLA joint-Wildrose-PC United Conservative caucus. Cooper will serve as leader of the Official Opposition, though likely not in the Assembly as the Legislature is not scheduled to reconvene until after the new party chooses a permanent leader in October 2017. He is a first-term Wildrose MLA for Olds-Didisbury Three Hills and a former Wildrose caucus Chief of Staff, Carstairs town councillor, and spokesperson for the social conservative Canada Family Action group. Wildrose leader Brian Jean formally announced his bid for the leadership of the new party at the Apple Creek Golf Course in Rockyview County. Jean was accompanied by Airdrie Wildrose MLA Angela Pitt, who has endorsed his campaign. Kenney is expected to formally announce his leadership bid on Saturday, July 29, 2017. Wildrose MLA Derek Fildebrandt, who is also expected to join the leadership race, vowed he would never support Jean in a leadership race. Jean briefly attempted to suspend Fildebrandt from the Wildrose Caucus in May 2016, after the MLA’s partisan antics went too far. Long-time PC Party strategist Susan Elliott announced she will be joining the Alberta Party. Elliott managed the PC Party’s successful 2012 election campaign. This entry was posted in Alberta Politics and tagged Alberta Party, Alberta PC Party, Angela Pitt, Brian Jean, Canada Family Action, Carstairs, Derek Fildebrandt, Nathan Cooper, Olds-Didsbury-Three Hills, Richard Starke, Susan Elliott, Unite the Right in Alberta, United Conservative Party, United Conservative Party Leadership Race 2017, Vermilion-Lloydminster, Wildrose Party on July 25, 2017 by Dave Cournoyer. 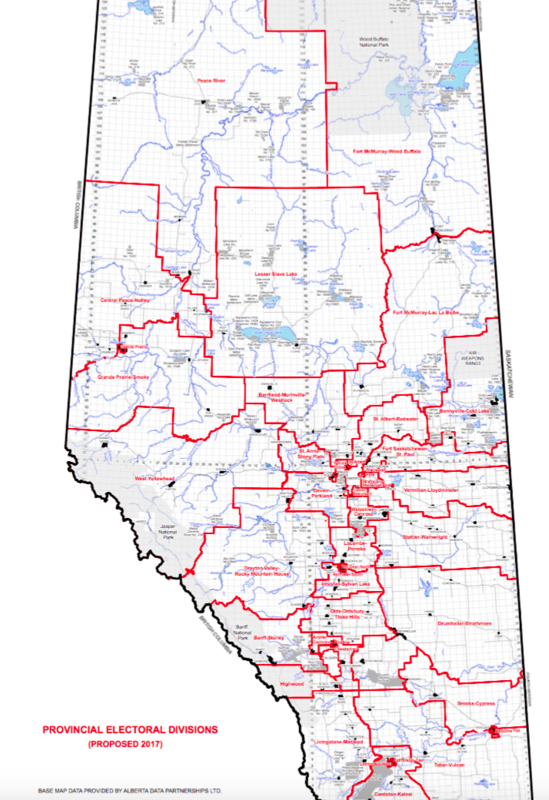 Earlier this year I submitted a series of recommendations to Alberta’s Electoral Boundaries Commission, the appointed body tasked with redrawing Alberta’s provincial electoral districts for the next election. The Commission released an interim report in May 2017 and will be holding a series of public hearings in communities across Alberta in the coming weeks. The Commission will submit its final report on October 31, 2017. My name is David Cournoyer, I am a voter living in the Edmonton-Highlands-Norwood constituency. I have followed the electoral boundary redistribution process for a number of years and am very interested in the process. I would like to thank the Commissioners for their work in this important process. The act of redistributing electoral boundaries is a challenging process and not one that should be taken lightly. In particular, this Commission faces the challenge of redistributing Alberta’s electoral boundaries without having the advantage of increasing the number of districts. I believe this Commission can improve the population balance proposed in the interim report. The previous Commission did a good job keeping the population of most electoral districts within ten percent of the provincial average population per electoral district. I recommend that the Commission attempt to keep districts within ten percent, and ideally within five percent, above or below the provincial average population per electoral district. Edmonton-East, Edmonton-North West, Edmonton-South, Edmonton-South West and Edmonton-West Henday: The Commission should reconsider using these geographic directional names for proposed districts, as they could cause confusion among voters. The names of the proposed districts are not necessarily reflective of their geographical areas. 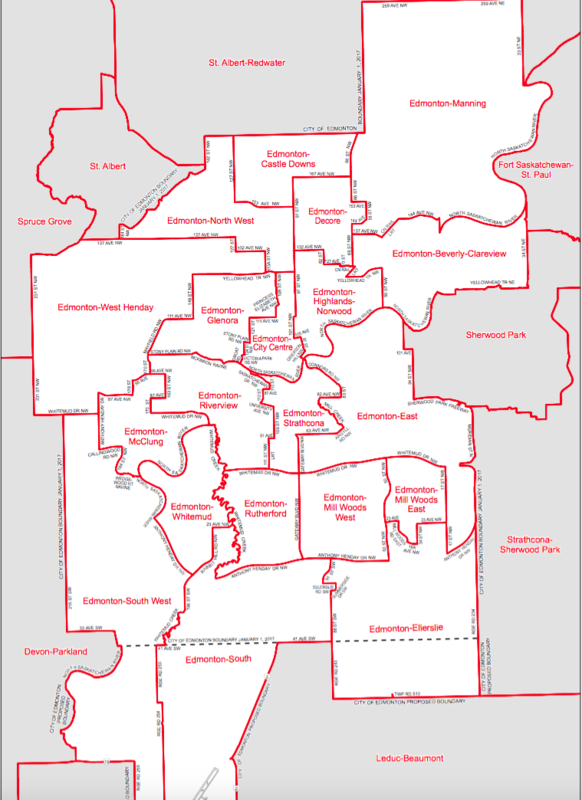 For example: The proposed Edmonton-East district is located west of the Edmonton-Beverly-Clareview and Edmonton-Manning districts and much of Edmonton-Northwest is located south of Edmonton-Castle Downs and east of Edmonton-West Henday. Edmonton-Mill Woods-East and Edmonton-Mill Woods-West: I believe the names in these proposed districts may cause some unnecessary confusion among voters. I recommend the names of these proposed districts be changed. Fort Saskatchewan-St. Paul, Vermilion-Lloydminster, and Stettler-Wainwright: These proposed district span from the Edmonton Metro area to the Alberta-Saskatchewan boundary, with the first two resembling a shelter-belt rather than a constituency representing communities of common interest. The Commission should consider redistributing the proposed districts in a way that would not divide communities along such oddly drawn east-west boundaries. Highwood: It should be noted that under this proposed district, the Highwood River is no longer located within the Highwood constituency, for which I believe it may be named. St. Albert-Redwater: The population of the City of St. Albert is too large to warrant the creation of two districts within the municipal boundaries. Instead of expanding a second St. Albert district north to Redwater, Smoky Lake, Buffalo Lake and Kikino, I recommend the creation of a district that would include St. Albert and the municipalities of Sturgeon County, Morinville, Legal, Cardiff, Bon Accord and Gibbons. St. Anne-Stony Plain: I expect this has already been brought to the attention of the Commission, but the correct spelling is Ste. Anne, in reference to Lac Ste. Anne. It is my recommendation that the name of the proposed district, if it remains in the final report of the Commission, be renamed Lac Ste. Anne-Stony Plain. Wetaskiwin-Camrose: I commend the Commission for their decision in the interim report to recommend the creation of a fully contiguous proposed district of Wetaskiwin-Camrose. Thank you to the Commissioners for the opportunity to respond to the interim report. I wish you good luck in months ahead as you consider the feedback you have received in order to create the final report of this electoral boundary review. This entry was posted in Alberta Politics and tagged Alberta Electoral Boundaries Commission, Edmonton-East, Edmonton-Mill Woods-East, Edmonton-Mill Woods-West, Edmonton-North West, Edmonton-South, Edmonton-South West, Edmonton-West Henday, Fort Saskatchewan-St. Paul, Highwood, St. Albert-Redwater, St. Anne-Stony Plain, Stettler-Wainwright, Vermilion-Lloydminster, Wetaskiwin-Camrose on July 17, 2017 by Dave Cournoyer. Richard Starke’s last push – what happens to the Renew PCers after March 18? With five days left until Jason Kenney wins the leadership of the Progressive Conservative Party in a landslide vote, his main rival is marshalling his forces. Representing PC supporters who want to renew the party, rather than dissolve it, Vermilion-Lloydminster MLA Richard Starke has announced a string of endorsements from former PC cabinet ministers and MLAs over the past few days, including former Edmonton mayor Stephen Mandel and former leadership candidate Stephen Khan. Starke’s list of endorsers include former MLAs Doug Horner, Doug Griffiths, Thomas Lukaszuk, Mike Allen, Rob Lougheed, Hector Goudreau, LeRoy Johnson, Jack Hayden, Ron Casey, Cal Dallas, Arno Doerksen, Bridget Pastoor, Dave Quest, Teresa Woo-Paw, Ron Ghitter, Verlyn Olson, Genia Leskiw, Iris Evans, Cathy Olesen, Heather Klimchuk, Pearl Calahasen, Ray Danyluk, Jim Horsman, Peter Elzinga, Linda Johnson, and Jacquie Fenske. It seems like an odd strategy to pull out a list of prominent endorsers after the delegate selection meetings have been held but it could be the last card that Starke’s team had to play. Kenney is an impressive campaigner and his organization solidified a solid lead in the elected delegate count. After party delegates vote to elect Kenney as their leader on Saturday, March 18, 2017, the PC Party will become a vassal of the Wildrose Party, which Kenney also seeks to lead into a new conservative party. His campaign against Wildrose Party leader Brian Jean has essentially already begun. Starke’s campaign to renew the PC Party released a “Common Sense Plan” in January 2017 which laid out a vague plan to work with the Wildrose Party without merging with them, but even at the time it felt like a last ditch attempt to ward off Kenney’s juggernaut. It is unclear what Starke and his supporters will do when Kenney wins the leadership in a landslide on March 18, 2017. He and his only supporter in the PC caucus, Grande Prairie-Wapiti MLA Wayne Drysdale, will have to decide whether they want to remain in a Kenney-led PC Party which could potentially cross over to the Wildrose caucus before the 2019 election. Maybe they will start a new moderate conservative party, or join another party? Calgary-North West MLA Sandra Jansen left the PC leadership race and joined the NDP caucus in November 2016. Perhaps hoping to gain a caucus-mate, Alberta Party leader Greg Clark has been pushing his ‘Centre Together’ message targeted at centrist Tories unimpressed with Kenney’s Wildrose merger plans. What comes after a bozo-eruption? A bozo-aftershock. Last week I wrote about the “Feminism is Cancer” email sent out by the Wildrose Party campus club at the University of Calgary promoting the screening of a Men’s Rights film on International Women’s Day. The Gauntlet, the campus newspaper, reports that the student who the club claimed to have fired as communications director after the incident may have not actually existed. The newspaper was unable to find any student with the name “Robert McDavid” listed with the university’s registrar or the party membership list. If The Gauntlet report is correct, either the club did not actually fire their director or they fired someone who did not want their name to be publicly associated with the “Feminism is Cancer” email. This entry was posted in Alberta Politics and tagged 2017 Alberta Progressive Conservative Leadership Race, Brian Jean, Feminism is Cancer, Jason Kenney, Richard Starke, Robert McDavid, Stephen Khan, Stephen Mandel, The Gauntlet, University of Calgary Campus Club, Vermilion-Lloydminster, Wildrose 2.0, Wildrose Party on March 14, 2017 by Dave Cournoyer. Tick, tock, tick, tock. Opposition to Daylight Saving Time in Alberta since the 1970s. 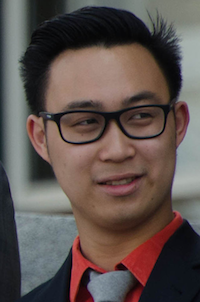 Edmonton-South West MLA Thomas Dang announced last week that he plans to introduce a private members’ bill into Alberta’s Legislative Assembly in the 2017 spring session that would abolish Daylight Saving Time. 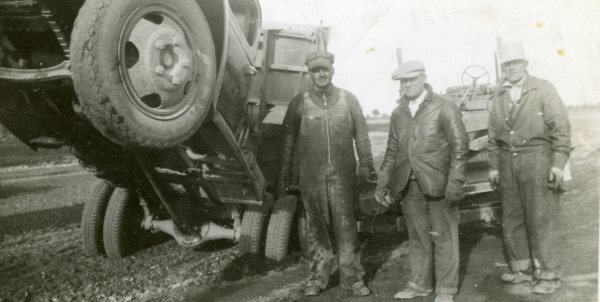 The biannual practice of turning the clock forward by one hour in the spring and back one hour in the fall has a long and controversial history in Alberta. DST was introduced in Alberta after a 1971 province-wide plebiscite resulted in 386,846 votes (61.47%) in favour of adopting the change. This followed the first plebiscite, which took place in 1967 and resulted in a narrow defeat for the Daylight Saving Time change (248,680, or 51.25%, against the change). While the time change is anecdotally unpopular, a CBC report suggested that lobbyists representing big-box stores, sporting and recreational goods manufacturers, barbecue and charcoal retailers, shopping malls and golf courses remain big supporters of Daylight Saving Time. National Post columnist Colby Cosh chimed in today, taking a totally reasonable if it’s not broken why fix it? approach to the debate. Since it was introduced in Alberta, there have been a handful of attempts by opposition critics and government backbenchers to abolish the practice or at least raise concerns about Daylight Saving Time. 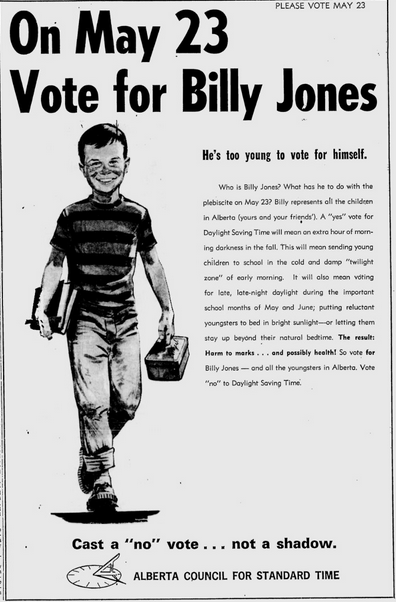 A newspaper advertisement opposing DST in 1967. In 1978, Spirit River-Fairview MLA and New Democratic Party leader Grant Notley tabled a petition in the Assembly from 36 constituents “living in an area of the province that comes closest to having the midnight sun,” which called on the government to hold a referendum or plebiscite at the time of the next provincial election. Lacombe PC MLA Ronald Moore introduced private members’ bill in 1991 and 1992 which proposed the adoption of daylight saving time year-round. Both bills were introduced into the Assembly but did not make it further than first reading and were not debated. In March 2015, Fort Saskatchewan-Vegreville PC MLA Jacquie Fenske tabled a petition organized by Ruby Kassian calling for an end to Daylight Saving Time. 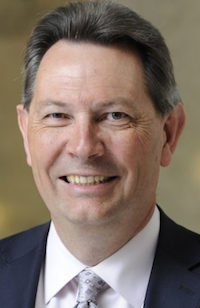 More than year later, in December 2016, Vermilion-Lloydminster PC MLA Richard Starke tabled a petition urging the government to introduce legislation to repeal the Daylight Saving Time Act and require the observance of Central Standard Time in Alberta. The first Daylight Saving Time was observed in Alberta at 2:00 a.m. on the last Sunday in April in 1972. In 1987, Attorney General Jim Horsman introduced Bill 2: Daylight Saving Time Amendment Act, which moved the start of Daylight Saving Time to first Sunday in April. 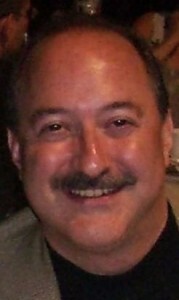 In 2006, Justice Minister Ron Stevens introduced Bill 4: Daylight Saving Time Amendment Act, which moved the start of Daylight Saving Time to the second Sunday in March and ending the first Sunday in November. This was in response to the same change made by the United States Congress in 2005. This entry was posted in Alberta Politics and tagged Clover Bar, Colby Cosh, Daylight Saving Time, Daylight Saving Time Amendment Act, Edmonton-South West, Fort Saskatchewan-Vegreville, Grant Notley, Jacquie Fenske, Jim Horsman, Lacombe, Peter Lougheed, Plebiscite, Referendum, Richard Starke, Ron Stevens, Ronald Moore, Ruby Kassian, Spirit River-Fairview, Thomas Dang, Vermilion-Lloydminster, Walt Buck on December 19, 2016 by Dave Cournoyer. A former MLA has filed a complaint with the Progressive Conservative Party in response to an email sent by Jason Kenney’s leadership campaign to party members in a constituency northeast of Edmonton. 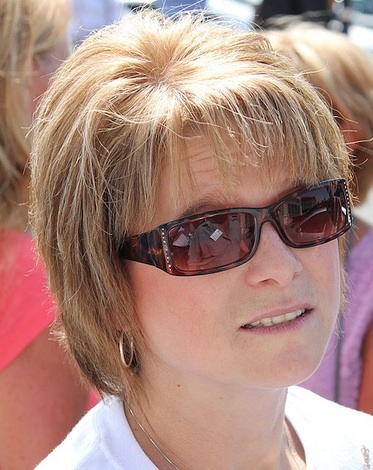 The complaint launched by Jacquie Fenske, who served as the MLA for Fort Saskatchewan-Vegreville from 2012 to 2015, alleges that an email sent from Mr. Kenney’s campaign misused the name of a prominent community member who is not supporting his campaign. The individual’s name was included in a list of pro-Kenney candidates standing in that constituency’s Delegate Selection Meeting on Nov. 17, 2016 in Bruderheim. The individual’s name was used in Mr. Kenney’s campaign email even though she was not running to be a delegate in the PC leadership race and claims to have never met or spoken with Mr. Kenney. Both the individual and Ms. Fenske are supporting Vermilion-Lloydminster MLA Richard Starke’s leadership bid. Ms. Fenske’s complaint, which was emailed to PC Party Edmonton vice-president Robert Parks on Nov. 19, 2016, is divided into two sections. The second section of the complaint alleges that because the name used in the email is the name she chooses to be called, which is different from the full name included in the local PC Party membership list, that Mr. Kenney’s campaign purposely included her chosen name in the email to increase the credibility of their slate of delegates. “Did they know it is wrong? Of course.” Ms. Fenske wrote. “If this is happening here then I must ask ‘where else’? If we do not do something about this it drags not only the party into question but also the wonderful people and volunteers who truly do care about this party and about ensuring Albertans are well represented. This is unacceptable and has gone beyond a mere slap on the wrist or fine in my opinion,” Ms. Fenske wrote. Ms. Fenske told the author of this blog that she does not expect the results of the DSM to be overturned but that she does expect the party to enforce privacy rules. She suggested that she may file a complaint with the provincial Information and Privacy Commissioner if the party does not address the misuse of a party member’s name. Ten delegates supporting Mr. Kenney’s leadership bid were elected at the DSM held in Fort Saskatchewan-Vergreville on Nov. 16, 2016. A total of 15 delegates were elected. 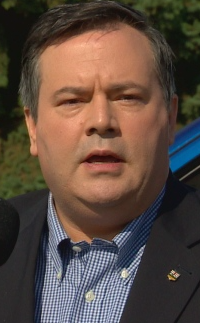 Mr. Kenney’s campaign was fined $5,000 for rules infractions at the DSM in Edmonton-Ellerslie on Nov. 16, 2016 and another complaint is being filed against him for his actions at the Spruce Grove-St. Albert DSM on Nov. 17, 2016. Facing online harassment and death threats, Calgary-North West MLA Sandra Jansen will now receive protection from the provincial government’s Executive Protection Unit. Claiming she was harassed and intimidated by Mr. Kenney’s social conservative supporters at the party’s recent convention, Ms. Jansen abandoned her bid to lead the PC Party and crossed the floor from the PCs to join the NDP on Nov. 17, 2016. She spoke publicly yesterday about the threats and disgusting harassment she has been receiving because she is a women in elected office. This entry was posted in Alberta Politics and tagged 2017 Alberta Progressive Conservative Leadership Race, Calgary-North West, Complaint, Death Threats, Edmonton-Ellerslie, Fort Saskatchewan-Vegreville, Information and Privacy Commissioner, Jacquie Fenske, Jason Kenney, Richard Starke, Robert Parks, Sandra Jansen, Spruce Grove-St. Albert, Vermilion-Lloydminster on November 23, 2016 by Dave Cournoyer. Alberta’s Progressive Conservatives officially kicked off their leadership race on October 1, 2016 at a party event in Lethbridge. The PC Party formed government in Alberta from 1971 until 2015, when it was reduced to third-place in the Legislative Assembly behind the governing New Democratic Party and Official Opposition Wildrose Party. As party officials celebrated the start of this leadership race, the event marked the fifth anniversary of the party’s 2011 leadership race, which resulted in first-term MLA and justice minister Alison Redford defeating former cabinet minister and establishment favourite Gary Mar. Ms. Redford defeated Mr. Mar in a third-ballot vote 37,104 to 35,491. At the time, there was plenty of hope and optimism that the election of Ms. Redford, Alberta’s first woman premier and a lawyer with international experience, would signal the start of a new urban and progressive agenda for Alberta. The ensuing years were instead better defined by arrogance, entitlement and abuses of power. This would end up spelling the end of the PC Party’s 44 years of uninterrupted power in Alberta. Seventeen months after Alberta’s 2015 election, this PC leadership race represents the first time since 1965 that the winner of a PC leadership race will not also immediately step into the Premier’s office. While the defining narrative of this race until this point has been whether or not the party should merge with the further-right-wing rural-based Wildrose Party, there appears to be little discussion about why Albertans chose to replace the old PCs with Rachel Notley’s moderate NDP. Candidates have until November 10, 2016 to join the race and party delegates will choose a new leader on March 18, 2017. As of today, the candidates include former Member of Parliament Jason Kenney, former Calgary-Varsity MLA Donna Kennedy-Glans, past candidate Byron Nelson, Town of Devon Councillor Michael Laveck, and current Vermilion-Lloydminster MLA Richard Starke. Calgary-North West MLA Sandra Jansen is also expected to join the race. I have launched a new webpage tracking the candidates and their social media links. This entry was posted in Alberta Politics and tagged 2017 Alberta Progressive Conservative Leadership Race, Alberta NDP, Alberta PC Party, Alison Redford, Byron Nelson, Calgary-North West, Calgary-Varsity, Conservative Arrogance, Donna Kennedy-Glans, Gary Mar, Jason Kenney, Michael Levack, Rachel Notley, Richard Starke, Sandra Jansen, Vermilion-Lloydminster on October 2, 2016 by Dave Cournoyer. Which of the four Liberal Members of Parliament will be appointed to the federal cabinet on Nov. 4, 2015? Most speculation points toward newly elected Calgary-Centre MP Kent Hehr being given a cabinet spot. Mr. Hehr, along with Calgary-Skyview MP Darshan Kang, were the first federal Liberals to be elected in Calgary since 1968. But will one of the two Liberal MPs from Edmonton – Amarjeet Sohi and Randy Boissonnault – get a cabinet spot? If not, it would mark the first time since before Jim Edwards was appointed as President of the Treasury Board in 1993 that Edmonton has not had representation in the federal cabinet. Two Conservative MPs from Alberta – Edmonton-Wetaskiwin MP Mike Lake and Sturgeon River-Parkland MP Rona Ambrose – have joined four other Conservative MPs with bids to become the interim leader of the Conservative Party of Canada. That party has only had one permanent leader, Calgary MP Stephen Harper, since the party was formed in 2003 and is expected to choose a new permanent leader next year. Alberta Premier Rachel Notley and Finance Minister Joe Ceci will continue their sales pitch for the Alberta NDP’s first provincial budget this week. The NDP budget received some sensible and encouraging reviews when it was released from Calgary Economic Development and the Alberta Chambers of Commerce. Overshadowing debate about the Alberta NDP’s first provincial budget last week was the Wildrose Party Finance critic Derek Fildebrant‘s war with a Globe & Mail reporter and House leader Nathan Cooper‘s war against a 9:00 a.m. start time for the Legislative sitting. Will the Wildrose Official Opposition be able to move on to actual issues of substance in the second week of the fall session? I will be taking a short break from blogging this week. 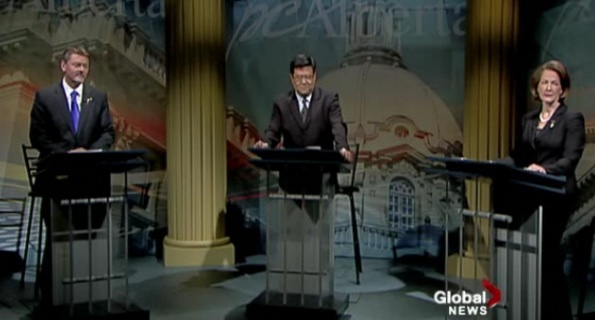 In my absence, check out David Climenhaga‘s informative and entertaining AlbertaPolitics.ca blog. This entry was posted in Alberta Politics and tagged 9:00 am start time, Alberta Chambers of Commerce, Alberta NDP Budget, AlbertaPolitics.ca, Amarjeet Sohi, Calgary Economic Development, Calgary-Centre, Calgary-Skyview, Conservative Party Interim Leader, Darshan Kang, David Climenhaga, Derek Fildebrandt, Edmonton-Wetaskiwin, Federal Cabinet, Globe & Mail, Jim Edwards, Joe Ceci, Kent Hehr, Mike Lake, Nathan Cooper, Rachel Notley, Randy Boissonnault, Richard Starke, Rona Ambrose, Stephen Harper, Sturgeon River-Parkland, Vermilion-Lloydminster, Wildrose Party on November 2, 2015 by Dave Cournoyer. With the spectre of a spring provincial general election hanging over us, the Progressive Conservative, Wildrose and New Democratic parties are in a hurry to nominate candidates in Alberta’s 87 constituencies. On Jan. 19, 2015, the PC Party announced that nomination votes would be opened in 12 more constituencies on Feb. 28, (in addition to the 35 constituencies scheduled to hold nomination contests on Feb 21, 2015). This means the PC Party will have more than half of their election candidates nominated before the end of February 2015. In desperate need of good news, the Wildrose Party is expected to soon announce a handful of newly nominated candidates in constituencies across Alberta. The Liberals have yet to nominate any candidates. Banff-Cochrane: Progressive Conservative MLA Ron Casey has announced plans to run for his party’s nomination. Mr. Casey was first elected in 2012 and was the only PC MLA elected from rural southern Alberta in that election. Scott Wagner remains the only candidate in the Wildrose nomination contest, as Paul McLean withdrew from the contest soon after the mass-floor crossing of Wildrose MLAs in December 2014. Calgary-Northern Hills: MLA Teresa Woo-Paw declared on Twitter that she is running for re-election. The two-term MLA is being challenged for the PC nomination by mortgage broker and L.L.B. graduate Aryan Sadat. 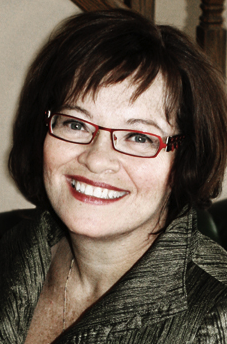 Calgary-Varsity: Stephanie Mclean is seeking the NDP nomination, scheduled for February 21, 2015. Ms. Mclean recently stood as the NDP candidate in the Calgary-Elbow by-election and will also soon be nominated as the federal NDP candidate in the new Calgary-Confederation riding. Edmonton-Glenora: As predicted in my previous update, Edmonton Public School Board Chairperson Sarah Hoffman will seek the NDP nomination, scheduled for Feb. 13, 2015. Ms. Hoffman was first elected to the school board in 2010. Ms. Hoffman’s candidacy has been endorsed by fellow trustees Michael Janz, Michelle Draper, and Ray Martin. Edmonton-Gold Bar: This will be a race to watch. PC MLA David Dorward plans to seek re-election. 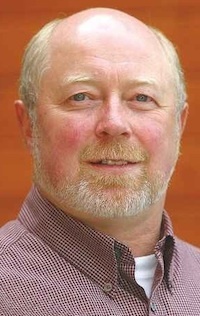 Gold Bar was held by the Liberals from 1986 until 2012, when popular MLA Hugh MacDonald retired. The lack of Liberal incumbent led to a three-way race which saw Mr. Dorward elected with 33% of the vote. Placing second in that race with 29% was NDP candidate Marlin Schmidt, who is already nominated to run again. 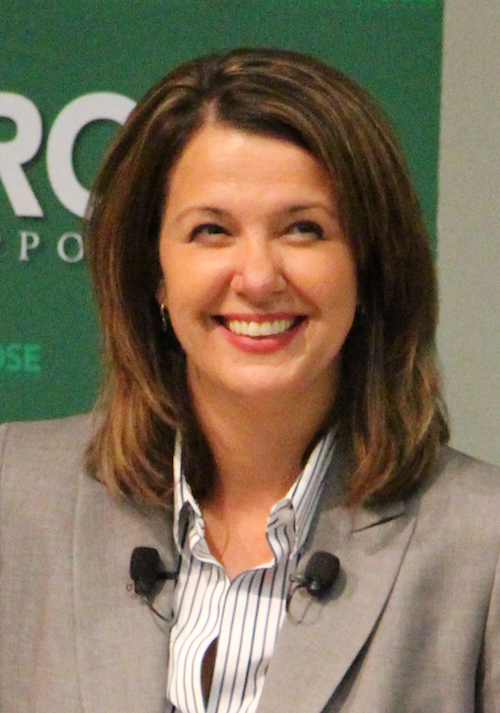 Innisfail-Sylvan Lake: Wildrose-turned-PC MLA Kerry Towle announced she will seek the PC nomination. Ms. Towle crossed the floor to the PCs in late November 2014. Little Bow: Bev Muendel-Atherstone announced on Facebook that she has submitted her nomination papers to run in this southern rural constituency. 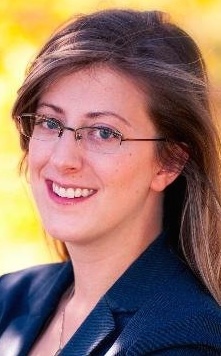 Ms. Muendel-Atherstone earned 6.15% of the vote as the NDP candidate in the 2012 election. 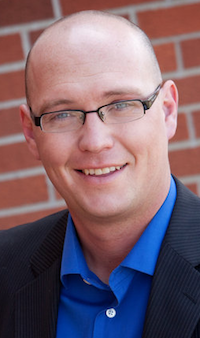 Olds-Didsbury-Three Hills: Town of Carstairs Councillor Nathan Cooper is running for the Wildrose Party nomination in this central Alberta constituency. Mr. Cooper currently serves as Chief of Staff for the Wildrose Official Opposition. 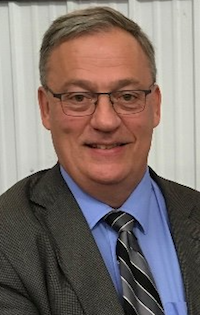 Rimbey-Rocky Mountain House-Sundre: The Sundre RoundUp reports that the former Wildrose-turned-Independent MLA Joe Anglin is considering a run for the PC nomination in his constituency. 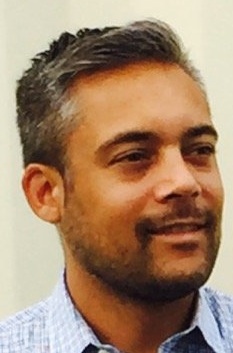 First elected as a Wildrose MLA in 2012, Mr. Anglin also led the Alberta Green Party from 2008 to 2009. Vermilion-Lloydminster: First-term PC MLA Richard Starke announced on Twitter that he will seek the PC nomination in this east central Alberta constituency. Mr. Starke briefly served as Minister of Tourism, Parks and Recreation from 2013 until 2014. This entry was posted in Alberta Politics and tagged Aryan Sadat, Banff-Cochrane, Bev Muendel-Atherstone, Calgary-Confederation, Calgary-Elbow, Calgary-Northern Hills, Calgary-Varsity, David Dorward, Edmonton-Glenora, Edmonton-Gold Bar, Ian Donovan, Innisfail-Sylvan Lake, Joe Anglin, Josipa Petrunic, Kerry Towle, Little Bo, Marlin Schmidt, Michael Janz, Michelle Draper, Nathan Cooper, Olds-Didsbury-Three Hills, Paul McLean, Ray Martin, Richard Starke, Rimbey-Rocky Mountain House-Sundre, Ron Casey, Sarah Hoffman, Scott Wagner, Stephanie McLean, Teresa Woo-Paw, Vermilion-Lloydminster on January 20, 2015 by Dave Cournoyer.